My Beatport DJ chart (September 2013) is available! 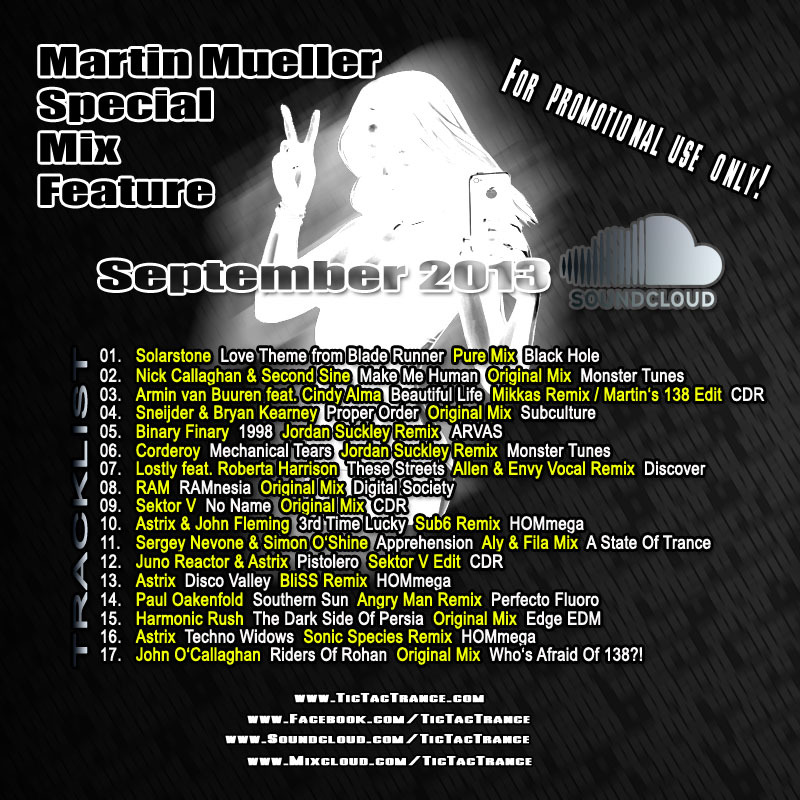 Some tunes are included in my Soundcloud Mix September 2013 aswell! 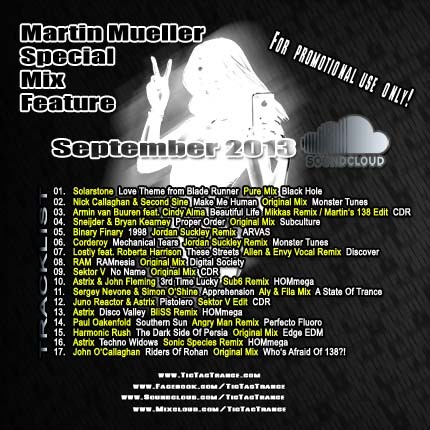 My Soundcloud Mix September 2013 is available! My Soundcloud Mix Series is back with 17 fresh tunes mixed into just one hour! It features tunes and remixes by artists like Solarstone, Astrix, Sektor V, Angry Man, Jordan Suckley and many many more! It’s now available on my SOUNDCLOUD page. Enjoy! Tic Tac Trance #069 Replay Available! 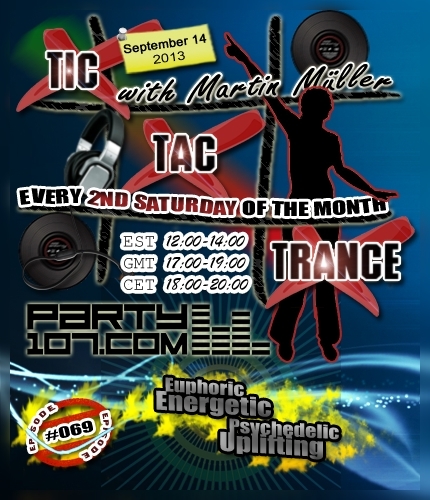 The replay of the latest episode of Tic Tac Trance is now available here on Tic Tac Trance, also on Mixcloud.com/TicTacTrance and *new* on Soundcloud.com/TicTacTrance! Episode #069 of Tic Tac Trance is almost here! My show will air on September 14 2013 on Party107 and will feature new tunes and remixes by artists like Jordan Suckley, Interactive Noise, John ’00’ Fleming, Will Atkinson, The Digital Blonde, Eddie Bitar, Photographer and many more! This time I’ve prepared a very crazy euphoric & energetic, but also uplifting & psychedelic 2 hours trance journey. Make sure to tune in!